The Domestic Abuse Response Team (D.A.R.T.) program for the City of Los Angeles was established through a 2001 State Department of Justice Family Violence Prevention Initiative Grant and received continuous grant funding until 2005. 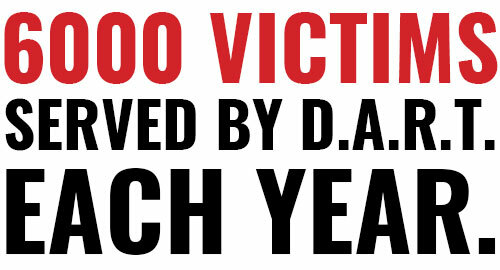 When this funding ceased, the City of L.A. made it a priority to continue funding the D.A.R.T. program through the City’s General Fund. D.A.R.T. teams are multidisciplinary crisis response teams that pair social service provider/domestic violence victim advocates with specially trained Los Angeles Police Department (LAPD) D.A.R.T. officers to respond to 911 emergency call incidents of domestic violence. Both the officers and the victim advocates are highly trained and have an extensive knowledge on signs of intimate partner violence, sensitivity working with victims and their children, and other issues of domestic violence. 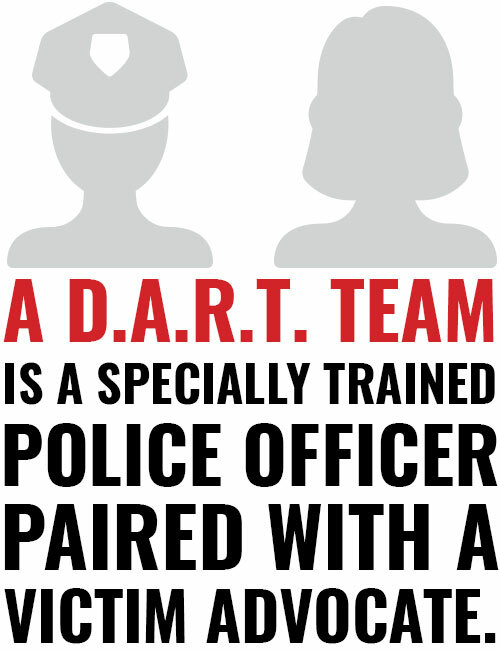 All 21 divisions of the Los Angeles Police Department now have a D.A.R.T. program thanks to the Mayor’s Fund for Los Angeles. The D.A.R.T. program provides free services to all domestic violence victims regardless of race, ethnicity, religion, socio-economic status, gender, sexual orientation, national origin, or immigration status. With victim consent, each D.A.R.T. team directly connects victims of domestic violence to the network of service providers that are prepared to offer an array of crisis intervention and prevention efforts for victims and their family members, including: responding to crisis calls; providing psycho-educational information on intimate partner violence; linking victims to available and appropriate emergency shelter services; reaching out to educate the communities; assisting survivors in developing safety plans; counseling; transporting survivors and their families to safety; and other supportive services as needed, case-by-case. The role of law enforcement is to detain and/or arrest the perpetrator and secure the scene for safety, complete efficient crime incident reporting, collect effective evidence for possible prosecution, and compassionately gain victim consent to speak privately with D.A.R.T. victim advocates on-scene. The D.A.R.T. victim advocate/social workers and volunteers take the role of providing immediate crisis intervention to the victims, whose efforts include: validating the victim’s traumatic experience through trauma-informed care; providing a safe space for victims to confidentially speak; establishing a safety plan for next steps; distributing educational information and referral to necessary resources; providing additional victim advocacy such as legal aid and court accompaniment; and offering continued care through case management and the services their agency offers.